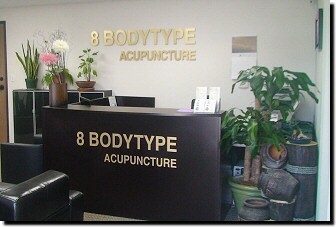 Welcome to the Institute of 8Bodytype Acupuncture. Eight Constitutional Medicine founded by Dr. Do-won Kwon is the medicine which has completed and developed from Dr. Je-ma Lee's Medicine of Four Body Type. The medical science of Four Body Type discerns a patient's body constitution merely by observing his outward appearance or physical characteristics and treats him only by administering herbal medicine hence it does not produce remarkable results. However, the Eight Constitutional Medicine accurately discerns a patient's body type by taking his pulse and treats him by using both acupunctural treatment and herbal medicine. With its excellent clinical effectiveness, the Eight Constitutional Medicine has opened a new era in the eastern medicine and is regarded as a gift from God. In this light, The Institute of 8Bodytype Acupuncture offers the highest quality of educational programs and successful business opportunities for acupuncturists and other health care practitioners. The Institute of 8Bodytype Acupuncture is committed to systematically educate professionals. We are striving our best to eliminate the difficulties in practicing 8Bodytype (constitution) medicine. In addition, we will help you gain confidence not just improving but curing the diseases through continuous research and development. As alternative medicine is increasingly being absorbed by the Western Medicine, acupuncture will not be able to avoid to be absorbed by Western Medicine as a simple instrumentation. At this point we can differentiate ourselves through 8Bodytype medicine. We will do our best to share the excellence of 8Bodytype medicine so it can be deeply rooted here in the United States.